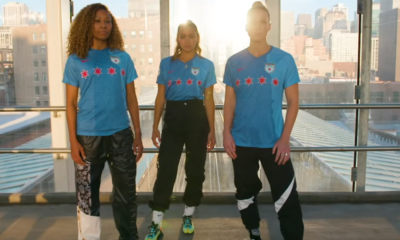 The Chicago Red Stars finally made it to North Carolina. 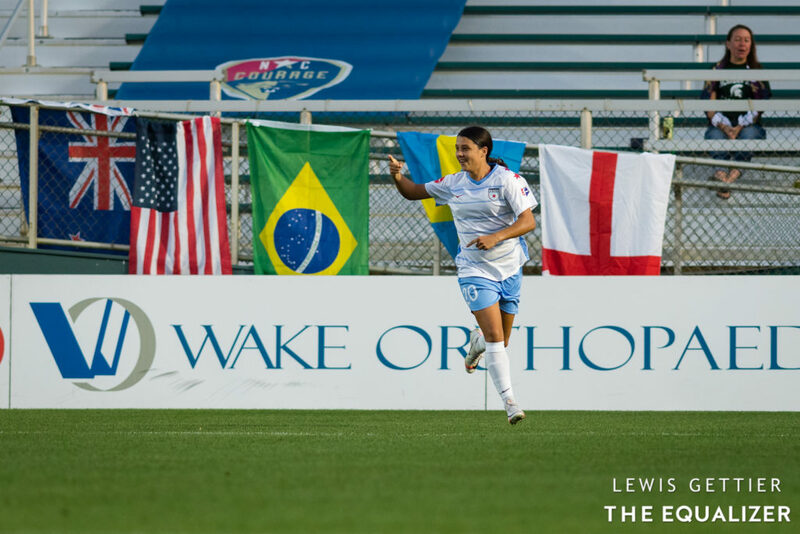 Seven months after their semifinal against the Courage had to be shipped to Portland due to Hurricane Florence, gray skies cleared out just in time for the 2019 season opener. Unlike that September semifinal that saw the Red Stars control long stretches of the match, the Courage were mostly in charge of this one. But unlike the semifinal that saw the Courage win 2-0, this one ended in a 1-1 draw. Here are three takeaways from opening night at Sahlen’s Stadium. That’s not to say the Courage were all bad around the goal. 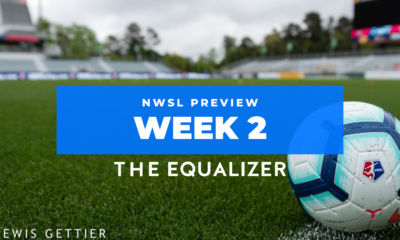 Only a leaping Alyssa Naeher kept the Courage from taking a late lead when Abby Dahlkemper found Abby Erceg’s head with a perfectly executed corner kick. In the first half, Naeher laid out to knock away a bending shot by Lynn Williams that may or may not have been ticketed for the far corner. 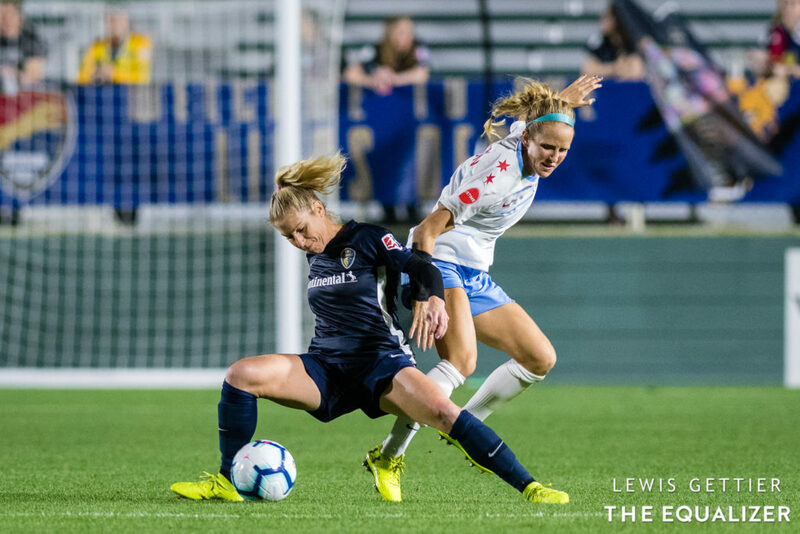 Other times, the Courage appeared rushed — like when Crystal Dunn shook Nikki Stanton to get into space, charging at the middle of the penalty area, but elected to take a weak shot rather than look for a teammate or play the hold-up game. For as many dangerous set pieces as the Courage earned inside of 30 yards, their execution was mostly uninspiring. The Courage still showed many of the traits that led them to a remarkable 2018 season. 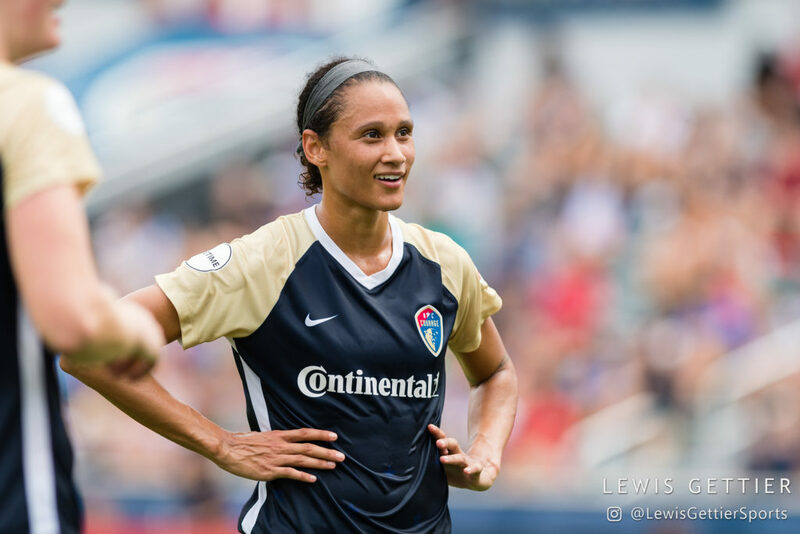 They were suffocating at times, sharp in possession at times, defended well, and for the most part limited Sam Kerr’s time and space. But they were 17-1-6 last season, so we’ll need to find things to nitpick about. This will be one of them until it gets fixed. The Red Stars went into the match without Casey Short, Vanessa DiBernardo, or Morgan Brian. The latter two made late appearances off the bench, but their absence from the starting lineup made for more minutes doled out to, among others, Nikki Stanton, Sarah Gorden and Alyssa Mautz. Mautz played an unsung role on the night. After Jaelene Hinkle spent the early minutes foraying forward on the Red Stars’ right flank, Mautz — veteran of 119 NWSL matches — began cheating over and Hinkle’s offense was held mostly in check from that point forward. That led the Courage to do much attacking down the center where the Red Stars had an army of defenders waiting to shut the door. Katie Naughton had a particularly strong night staying tight to her marks and reading developments in front of her. Naughton will be a key component for the Red Stars once the U.S. internationals leave for the World Cup. 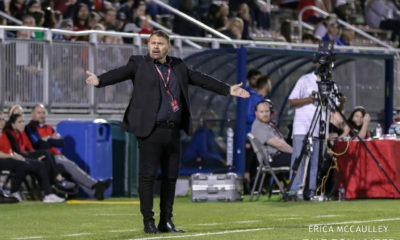 A fully stocked Red Stars roster will include one-too-many midfielders, and head coach Rory Dames could remedy that by using Julie Ertz and Tierna Davidson as his center back pairing. That would leave Naughton out. At least until the end of the World Cup, though, Naughton is the leader of the back line. Being without Short and DiBernardo is not new. Both began last season injured before making their debuts June 16. That was one match after the Red Stars snapped a seven-match winless streak. Short may or may not be on Jill Ellis’ World Cup team, but DiBernardo will not be and her presence in the Red Stars’ midfield will be important in navigating the summer. Only five players in league history have scored more goals over their entire careers as Kerr has over the last two seasons (17 and 16, respectively). Kerr’s scoring ways continued in Saturday’s opener. She needed only one significant chance to give the Red Stars a first-half lead. 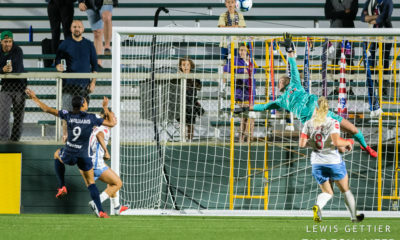 Running on to a perfectly weighted ball from Yuki Nagasato, Kerr took possession, sent Courage keeper Steph Labbe to the ground and finished for her 60th career NWSL goal (by far the most all-time). It was an otherwise frustrating night for Kerr, who often dropped deeper than she should have to to retrieved the ball and was rarely in a position to be dangerous. Kerr had one other great chance, in stoppage time, when her ballerina volley smacked off the crossbar, bounced straight down and somehow stayed out while evading a Courage defender who looked sure to touch it in for an own goal. The World Cup kicks off in less than two months, but Kerr’s head is clearly in Chicago when it needs to be. Dating back to last season, she has now scored in five straight regular-season matches, establishing a new Red Stars record. Don’t overlook Crystal Dunn, either. Dunn was orchestrating for much of the night but the moment she found a narrow lane to slot one by Naeher, she placed it perfectly for the Courage equalizer. Special players making special plays. That’s what soccer is all about.